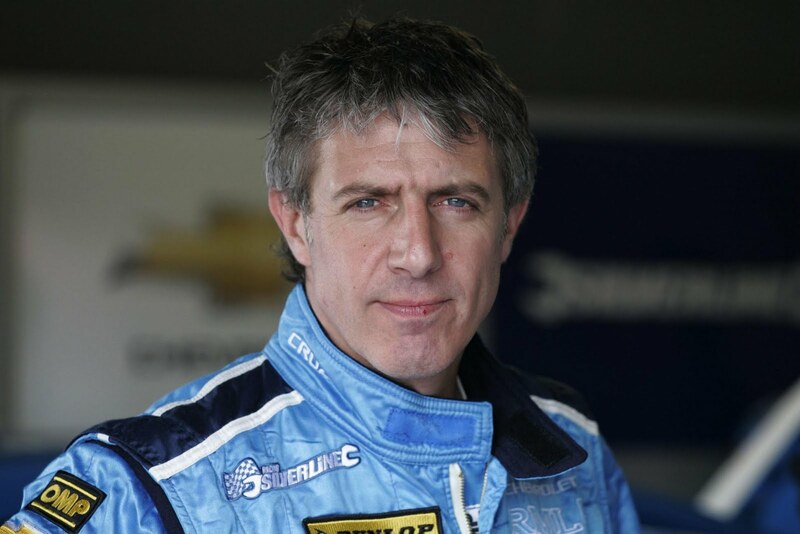 Jason Plato : Chevrolet BTCC driver and TV Presenter. MacDowall gets stuck into the action at Croft. The Silverline Chevrolet Cruze set a blistering pace in the Dunlop MSA British Touring Car Championship qualifying at Croft, with Jason Plato outpacing his nearest rivals by four-tenths of a second, proving that the great handling Cruze is well-suited to the North Yorkshire circuit’s notorious twists and tight sections. But despite the amazing qualifying session, it was to be a weekend of frustration for Silverline Chevrolet and the RML team. Plato got off the line quickly in wet conditions during race one, but was hit by Rob Collard’s BMW into the first bend, slewing the Chevrolet sideways and across the infield. Plato recovered well to drive home to a solid fourth position. Meanwhile his team mate, Alex Macdowall, was the innocent victim of several racing incidents, twice ending up off the track through no fault of his own, and doing well to recover from a further collision on the final straight to cross the line midway through the field. But it was the second race that was to deliver the ultimate frustration. Plato was challenging for third position, on a rapidly drying track, when a broken driveshaft coupling forced him to retire. 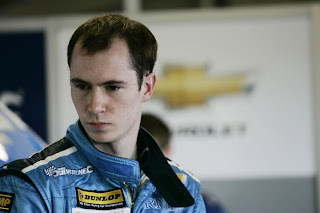 Meanwhile, MacDowall, who had driven brilliantly to pull his own Cruze up from fifteenth to seventh position, was also forced to pit with an oil pressure problem, shortly after pulling an incredible overtaking manoeuvre on Tom Onslow-Cole’s Ford. With both cars starting from the back of the grid in the third of the day’s races, there was little prospect of a great result – but Alex MacDowall drove a fantastically spirited race, bringing the Cruze home in eight overall. 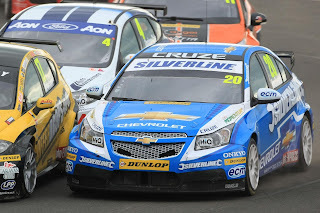 Despite coming away from Croft with fewer points than would have been ideal, the Silverline Chevrolet team remain optimistic as the BTCC season enters its summer break. 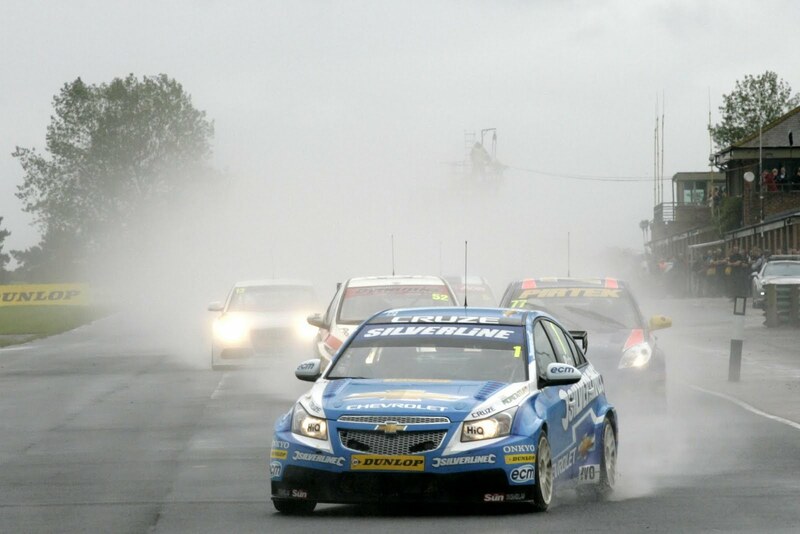 The BTCC returns on August 7th at the fast-flowing Snetterton Circuit near Thetford, Norfolk. In the meantime, for behind the scenes information on the Silverline Chevrolet team, visit www.chevroletbtcc.co.uk or follow them on facebook at www.facebook.com/chevroletbtcc.